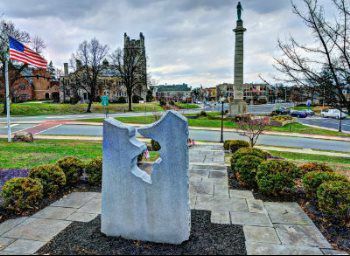 Primarily residential in nature, the Town of Westfield in Union County enjoys a level of cultural activity that is rare in a smaller municipality. In addition to local symphony and theater, the central business district features stores devoted to books, music, and art. The Westfield community offers an attractive and award-winning cityscape, excellent schools, and a vibrant downtown with many local and national retail outlets as well as more than 40 restaurants and casual eateries. A prosperous area graced by substantial housing and scenic parks, Westfield attracts newcomers to an atmosphere of civic pride and community involvement. Recreational amenities include a six-screen movie theater, regional and local parks and playgrounds, sports facilities, the town pool complex, a golf course, tennis courts, and private clubs. Commuting to New York City is a breeze. New Jersey Transit’s Raritan Valley Line provides service from the Westfield train station to NY Penn Station (with a changeover in Newark Penn Station—one-seat rides are available during off-peak hours). Travel time is just under an hour, with many express trains running during morning and evening rush hours. New Jersey Transit also provides bus service to New York City’s Port Authority Bus Terminal seven days a week, with an approximate travel time of one hour. Newark Liberty International Airport is just 20 minutes away. Mountainside Borough is an attractive, residential community featuring an abundance of trees and a hilly terrain that clarifies the meaning of its name. Single-family homes dominate the housing selection. Most are well-kept, older homes on expansive lots. The downtown retail center is augmented by several major malls within a 10-minute drive, and residents enjoy good highway access to amenities in surrounding urban centers. Recreational attractions in the borough and nearby include a Community Pool, Echo Lake Park Fitness Trail, sandbox, basketball/volleyball courts, Echo Brook softball/soccer fields, and the lighted Echo Brook tennis courts. 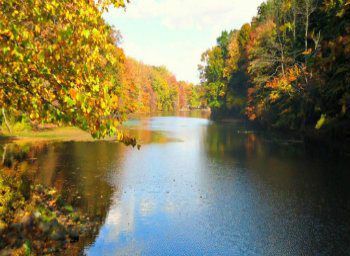 Outdoor activities abound with several parks to enjoy, including the 139-acre Echo Lake Park, which includes a fitness trail and two lakes where visitors can enjoy boating skating, fishing, and picnicking. 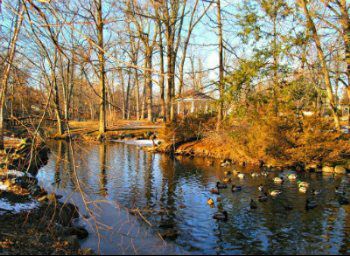 The Watchung Reservation is a 2,000+-acre wooded reservation perfect for hiking, fishing, and horseback riding. There’s the Trailside Nature & Science Center that has been renovated and expanded. This environmental education center features many interactive indoor and outdoor activities and workshops, and it houses a children’s discovery room and 250-seat auditorium.